So, I loaded up a Monster Hunter Tri image file. it is the exact same file that another used, which worked fine apparently. And, it does work fine for me: it loads fine, it seems to have no particular issues. However, I would like to import a save file for the game, and I wanted to do so by placing the game save in the game save directory because I have the raw game save file because I extracted it from my wii using a homebrew application called: 'game save extractor'. To access the game save directory for the game in question, i have to right click the game in dolphin and select 'wii save directory'. however, I am unable to do this because the game isn't in dolphin. 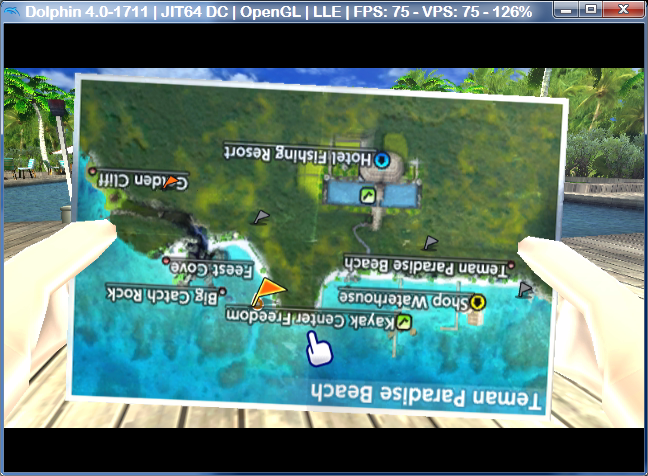 even when it is emulating the game, it does not appear in dolphin; it simply says: Dolphin could not GC/Wii ISO's. So therefor, I cannot use a wii save file when loading an image file game? Is there a way to use a save game on an image file? Because someone else did without a problem using the same image file in the dolphin emulator. To get the game to appear in your game list, just add the folder it's in to Config > Paths. The "Browse" button in the main window (the third button in the button bar, to the right of Refresh) also lets you add a folder.